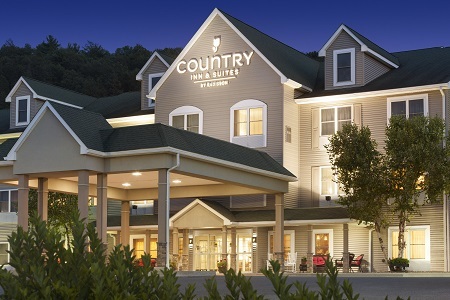 Conveniently located off I-476, the Country Inn & Suites® by Radisson, Lehighton (Jim Thorpe), PA is only about five miles from Penn’s Peak, Beltzville State Park and the Lehigh Gorge Scenic Railway. If you’re taking the family on an outdoor adventure, the Pocono Mountains and Lehigh Gorge State Park are both less than an hour away. 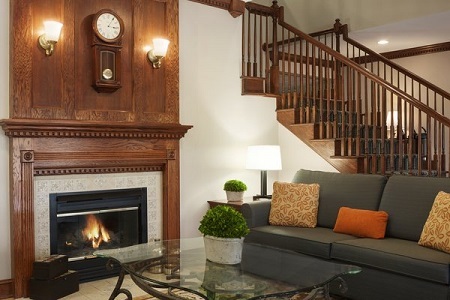 Only six miles from our hotel, the town of Jim Thorpe is home to cultural attractions like the Asa Packer Mansion Museum and Mauch Chunk Museum & Cultural Center. After sightseeing, unwind in our hotel’s fitness center or let the kids burn off some energy in our indoor pool. 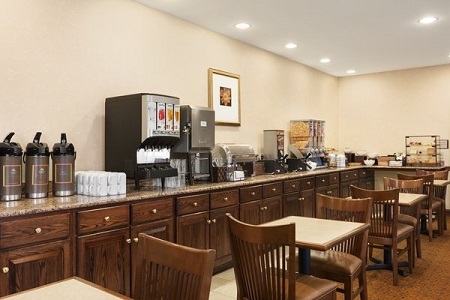 In the morning, enjoy the free, hot breakfast and catch up on the news with free Wi-Fi. Celebrating a landmark occasion with a special someone? 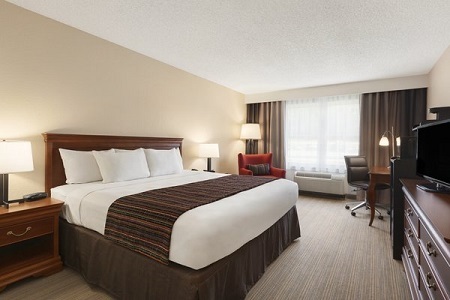 Reserve our Whirlpool Suite with all standard amenities and a whirlpool tub for two. Join us in the dining room each morning for our free, hot breakfast, which includes items such as scrambled eggs, fresh fruit, and biscuits and gravy. For lunch and dinner, try nearby restaurants like P.J. Whelihan’s or Dom N Ali Steaks & Seafood. Penn’s Peak – Drive about five miles to reach this mountaintop concert venue, featuring a full-service restaurant and an open-air deck with views of Beltzville Lake and the Appalachian Mountains. Catch famous performers in concert, or attend a party with free live entertainment on the patio. Lehigh Gorge Scenic Railway – Hop aboard one of the diesel-powered railroad cars, and take a picturesque ride on the former mainline of the Central Railroad of New Jersey. Leaving from downtown Jim Thorpe, about a 10-minute drive from the hotel, the trains meander through Glen Onoko and into gorgeous Lehigh Gorge State Park on a 70-minute, narrated journey. Country Junction – Since you’re only about five miles away, make time to visit the world’s largest general store. Kids enjoy the free petting zoo and candy shop, and you can peruse home improvement items along with a wide range of gifts. Reserve our conference room for events with up to 45 guests, and enjoy a convenient location right off I-476. Our professional staff is available to assist with details such as audiovisual equipment and catering so you can feel confident your gathering will run smoothly.